We undertook branding and flyer design for this local company. 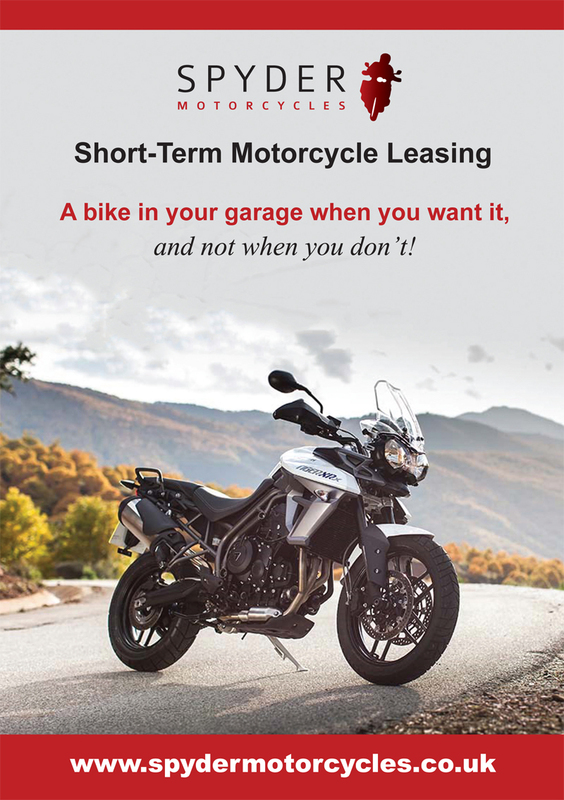 Known as ‘Spyder Club’ when the business first started they have since evolved into running tours and events, managing press fleets, hire and motorcycle leasing. 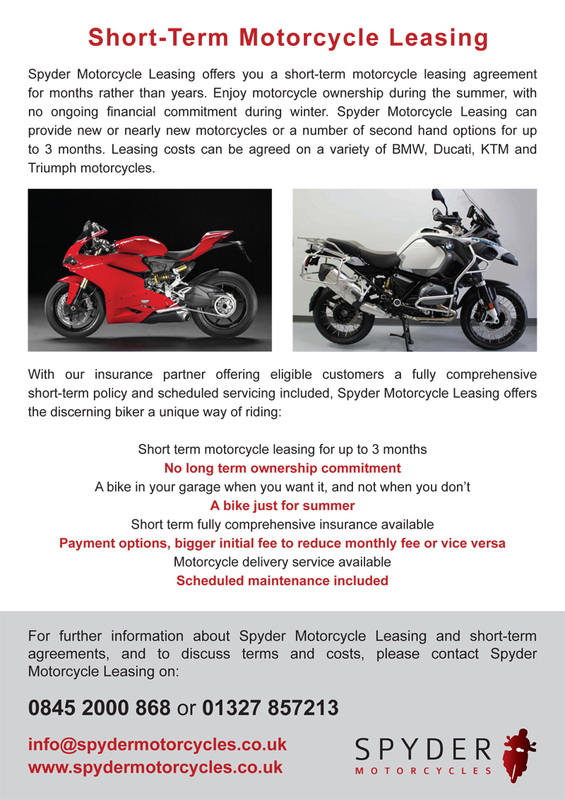 We were asked to brand all their services under ‘Spyder Motorcycles’. We have kept some familiarity from the current Spyder Club logo in terms of colours and style but modernised it and made the bike symbol more general rather than too sporty.